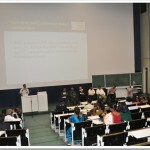 After working hard for last few months along with other organizers including INFITT Chair Dr.Kalyanasundaram, Prof.Ulrike Niklas, Mr.Kavi Arasan, Dr.Vasu Rengathan & others, I am happy to participate today in the inauguration of TIC 2009 in the campus of University of Cologne, Germany. 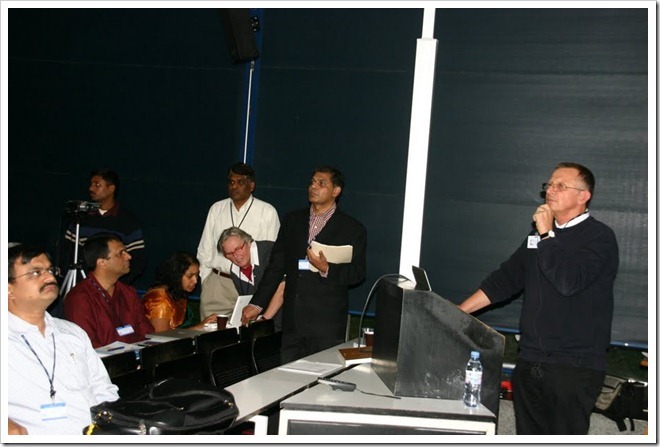 The Eighth Tamil Internet Conference TIC 2009 and the first in Europe was inaugurated few hours back with the august presence of Prof.Dr.Bongartz (Dean of Philosophical Faculty of Univ. 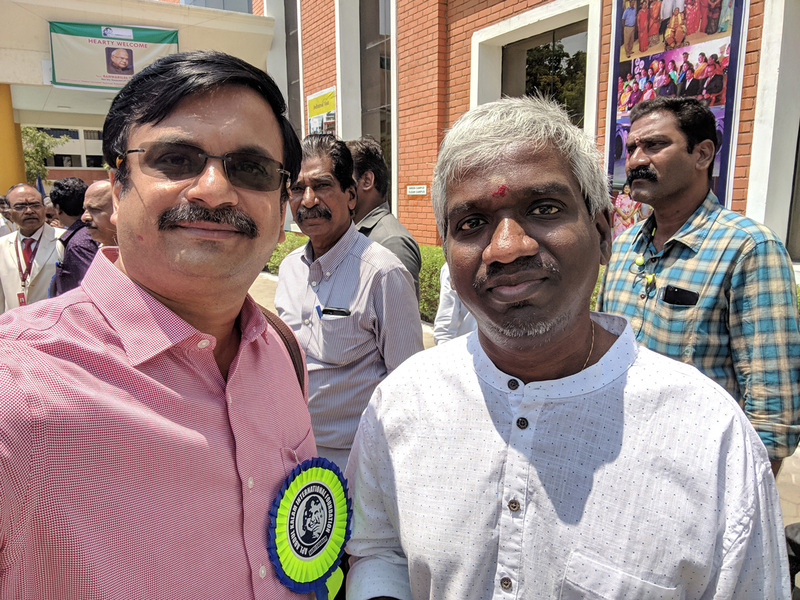 of COLOGNE) & Prof.M.Anandakrishnan (Chair, Tamilnadu Govt. Delegation & Former VC, Anna University). 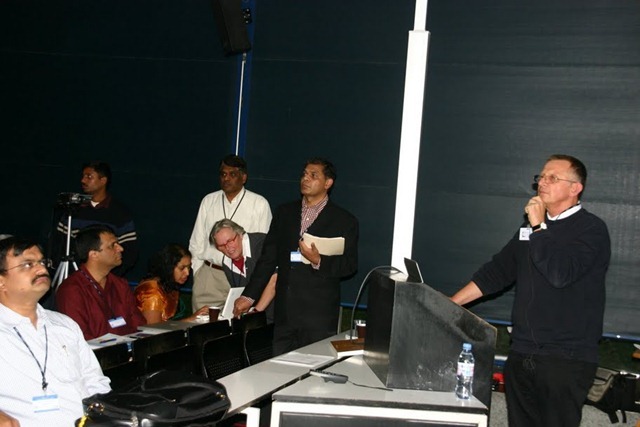 The 3 day conference is being hosted by the Institute of Indology and Tamil Studies of the University of Cologne in Germany is being held from October 23-25, 2009. 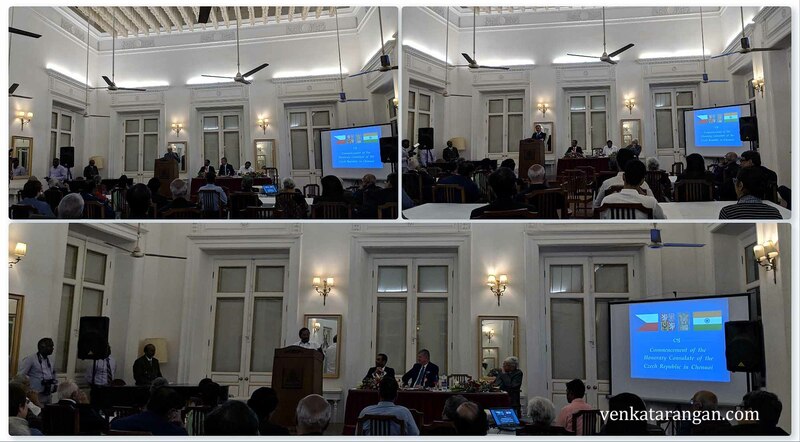 The conference got underway with the address of the co-chairs of the event Dr.Kalyanasundram (INFITT) and Prof.Ulrike Niklas (Institute of Indology and Tamil Studies-IITS). Prof.Urlike highlighted that IITS hosts the largest Tamil books collection of over 60,000 which is the largest outside Tamilnadu. Dr.Kalyanasundram recalled the founding of INFITT in 2000, the objectives and the past 7 conferences held around the world (Singapore, Chennai, Malaysia, USA) and the outcomes. In the plenary session talks, Mr.Muthu Nedumaran (Malaysia, Former Chair INFITT) to the excitement of the audience demonstrated Tamil enabling 3G Mobile devices such as iPhone, Android, Nokia for News applications. 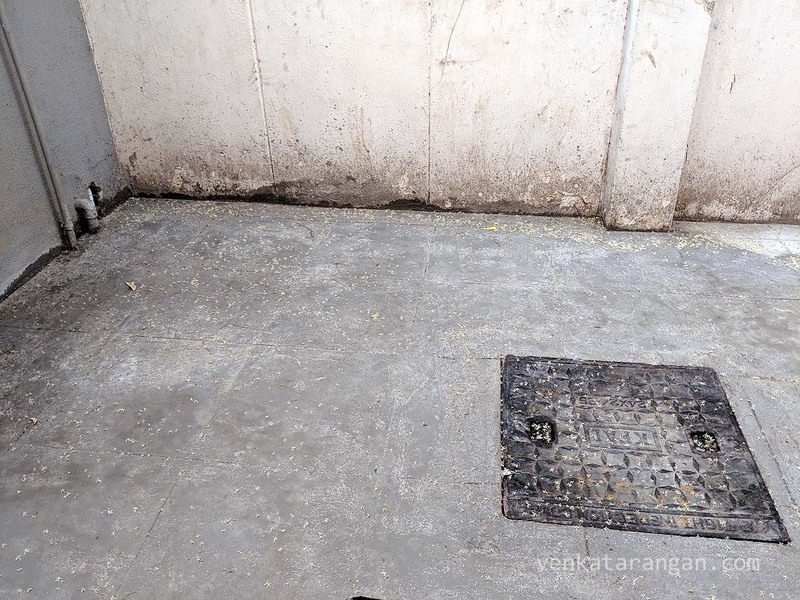 Prof. A.G.Ramakrishnan (Indian Institute of Science, Benguluru) demonstrated a major technical breakthrough of live changing implications for the blind and illiterate through IT. The audience were spell bound when Prof.Ramakrihnan’s computer read out a text from a Tamil book (Text to Speech) and then recognized his handwriting on the screen. Prof.Thomas Malten (IITS) showed the various online Sanskrit, Tamil Dictionaries made available by IITS, the University of Cologne has made available the tools used to prepare these texts.